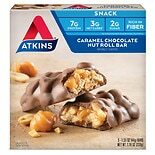 Atkins Peanut Caramel Cluster Bars are made with a soft nougat center, wrapped in indulgent chewy caramel and real roasted peanuts. 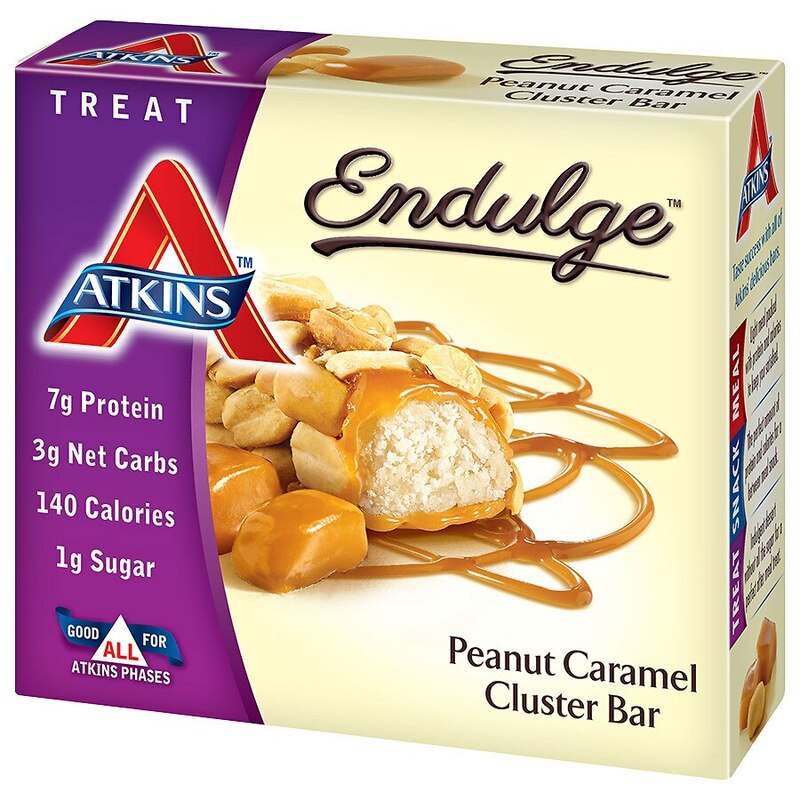 A decadent treat that helps satisfy your sweet tooth, without the carbs or sugars. Meal: Light meal packed with protein and calories to help keep you satisfied. Snack: The perfect amount of protein and calories for a between meal snack. Treat: Indulgent dessert without all the sugar for a perfect after meal treat.